Twenty-two DNCBers enjoyed a gorgeous sunny Tuesday morning roaming around Lighthouse Marine Park and other spots in Pt. Roberts, USA. Check out the spectacular photo evidence on our DNCB Flickr site. We left Petra’s shortly after 7:30 am and, following a brief stop at Kiniski’s Tavern (to see birds, not drink), we all met around 8:00 am at the Lighthouse Marine Park parking lot. We shared the usual inane pleasantries, took the mandatory Group Photo, then set up the scopes to scan the Strait, enjoying the sunrise as much as the birds. The water was calm and flat with lots of species nicely viewed with bins and especially through our scopes. Sightings here and at the Lighthouse Point included: Surf & White-winged Scoters, Bufflehead, Double-crested, Brandt’s & Pelagic Cormorants, Common Goldeneye (Barrow’s Goldeneye later at the Marina), Scaup (probably both Lesser & Greater), Common Loons, Horned & Red-necked Grebes, Red-breasted Mergansers and Long-tailed Ducks. Western Grebes and lots of Brant Geese were in the distance. A flock of Dunlin huddled on shore for close-up viewing. At the Lighthouse (there really is no lighthouse there), we spent some time identifying Common Murres and Pigeon Guillemots and searching in vain for Red-throated Loons, Rhinoceros Auklets, Murrelets and Heermann’s Gulls. Several Steller’s Sea Lions, passing Harbour Porpoises, and always welcome Harlequin Ducks entertained us as well. We left the sun-baked dyke trail to follow the inland Park path. Not a lot of little birds, but we did see Anna’s Hummingbirds, Golden-crowned & Song Sparrows, Juncos, House Finches, Northern Flickers and a neat Cooper’s Hawk, plus other common stuff. Our eBird DNCBlist shows 46 species sightings. Back at the parking lot, a fog bank had moved in and we couldn’t see anything out on the water. We drove to the Marina where there was no fog, and interestingly, we watched that layer of fog rise behind us, never to be seen the rest of the day. At the Marina, we got good looks at both Goldeneye species, Scaup, Bufflehead, RB Mergs, Pied-billed Gebes, and we discussed the differences between Horned and Red-necked Grebes. A Red-tailed Hawk was perched along the road on the drive to the south side of the Marina, where some saw a Northern Shrike. I was sorry to miss the Shrike, but was held up enjoying a tour of Mike B2’s elegant yacht in the marina (possible transport for a future DNCB outing in the San Juan Islands). Many of the afore-mentioned waterfowl species were hanging around the breakwall and the marina entrance, along with the resident flock of Black Turnstones. No Meadowlarks or Killdeer seen today. We followed Edwards then APA Drive to the new Seabright Homes Loop. We walked the trail above the cliffs, enjoying more magnificent views, and a few birds. The House Wren has not arrived yet, but we saw some sparrows and a Ruby-crowned Kinglet. The sun was beating upon us, so we took another Group Photo, some in short-sleeved shirts, mainly to piss off any freezing eastern Canadians reading this report. Some descended the new sturdy stairs to the beach which was closed off at the bottom as a result of recent winter storm damage. I was puffing, but exhilarated when I got back up to the top. It was approaching noon, so we decided to end the outing and head to the Rose & Crown Pub in Tsawwassen for lunch. However, some of us were late for lunch as we assisted our Drama Queen Pat to jump start her vehicle so she and sister Maureen could return home. It was another awesome DNCB outing. The twenty-one were: our Webmaster Ken B & Anne A, Pt. 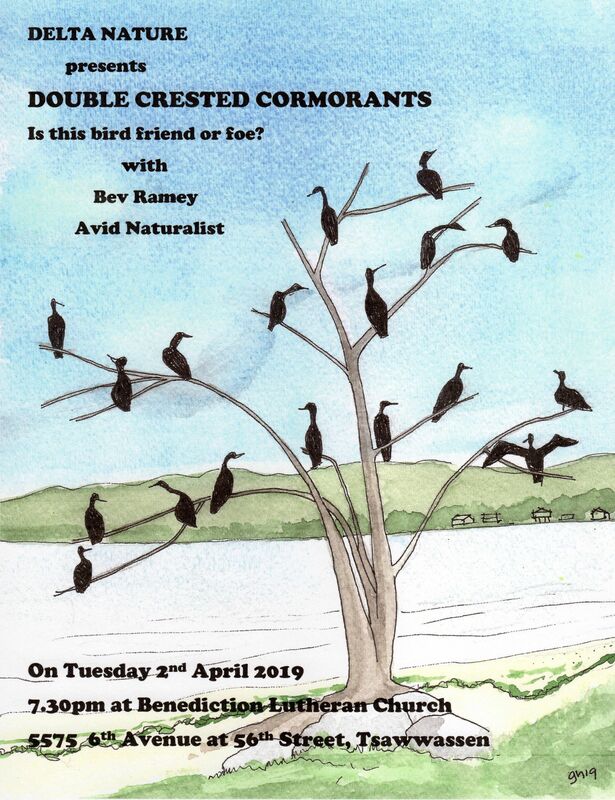 Bob’s Flautist Friend Paul F, Organizer Terry C, All-seeing Roger M, sisters Pat & Maureen, time-challenged Germanics Margaretha & Gabrielle, Richmond’s Brian (our eBirder) & Angela A, Langley Gareth, Pt. Bob Boaters Jim K & Mike B2, VanCity Lidia, reliables Jean G & Marion S, poser Glen B, historian Mike B, White Rock Colin, Ladner Jack Mac and me. Next Tuesday’s outing, February 5, is at Brunswick Point, leaving Petra’s at 7:30 am and meeting at the end of River Road in Ladner at 8:00 am. 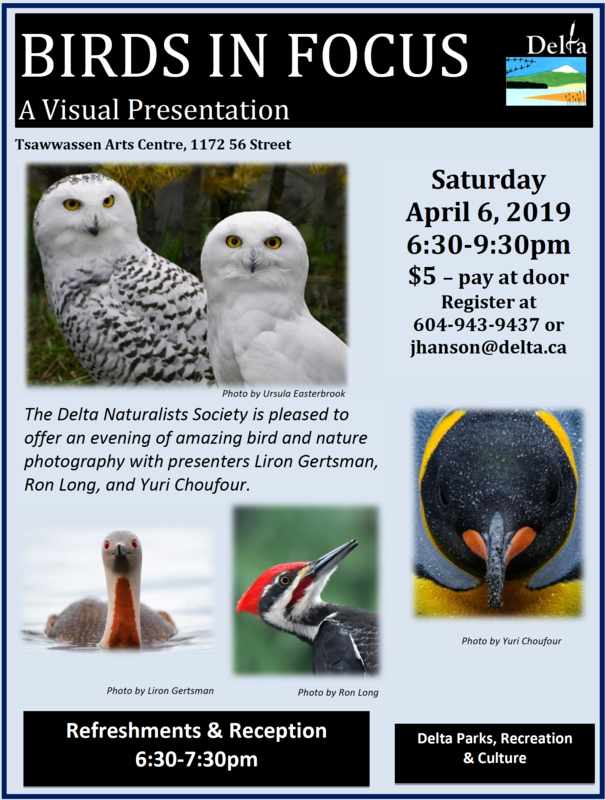 Also next Tuesday evening is our monthly Delta Nats meeting with Jocelyn Demers presenting his film on the Watershed Guardians of the Fraser River, 7:30 pm at the Tsawwassen Benediction Church. Public welcome, free. I’ll miss the next two outings as Sandra and I will be in Ontario visiting friends and relatives. I’m looking forward to the 60th annual (yes 60) February UpSouth Weakend meeting at Wally’s cottage in Dorset (Paint Lake) with 10 childhood Niagara Falls friends to share the same stories, sports (pickleball has replaced hockey on the lake) and lies that I’ve heard a million times, and still love. Meanwhile, I know other DNCBers will be fighting over who writes the reports on the next two outings. 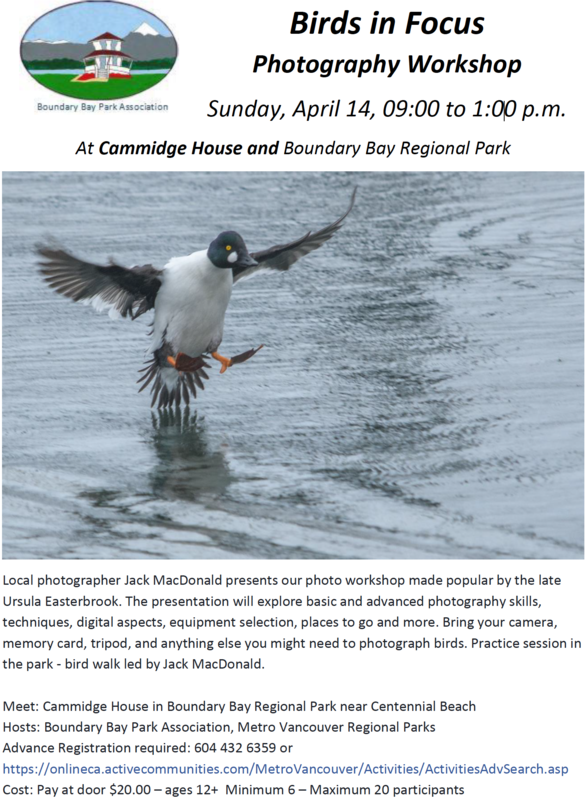 This entry was posted in *DNCB, Barrow's Goldeneye, Black Turnstone, Brandt's Cormorant, Common Murre, Dunlin, Harbour Porpoise, Harlequin Duck, Long-tailed Duck, Northern Shrike, Pelagic Cormorant, Pied-billed Grebe, Pigeon Guillemot, Point Roberts, Red-breasted Merganser, Red-tailed Hawk, Steller Sea Lion, Trumpeter Swan. Bookmark the permalink.